The Allegheny Plateau is a large dissected plateau area in western and central New York, northern and western Pennsylvania, northern and western West Virginia, and eastern Ohio. 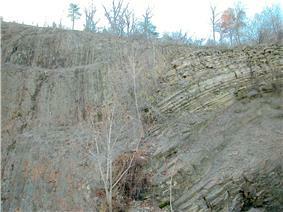 It is divided into the unglaciated Allegheny Plateau and the glaciated Allegheny Plateau. ^ "Physiographic divisions of the conterminous U. S.". U.S. Geological Survey. Archived from the original on 5 December 2007. Retrieved 2007-12-06.